Smoky Obsidian usually forms as small droplets. It is translucent rather than opaque, and most often occurs as nodules in matrix. In the US they are known as Apache Tears, and in Hawaii as Pele’s Tears (Pele being the goddess of the volcano). There are many variations on the Apache legend, including one account of a small band of Apache warriors fighting the US Cavalry in Arizona in the 1870s. Hopelessly outnumbered, they were driven to the edge of a cliff. Rather than facing defeat, they chose to ride their horses over the cliff to their deaths. When their people heard of the tragedy, their tears fell to the ground and solidified. 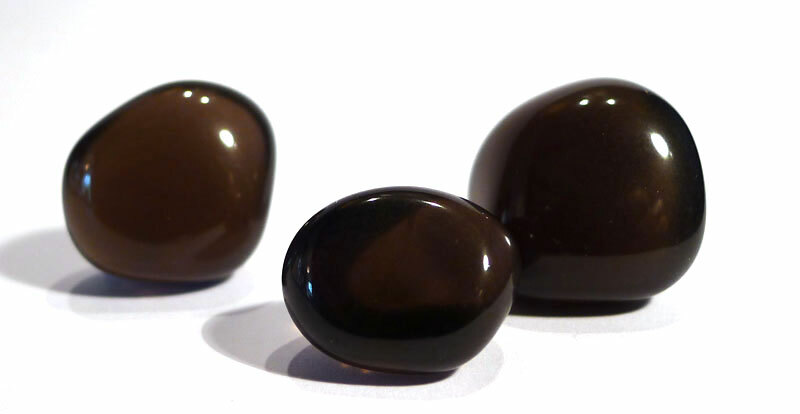 Smoky Obsidian is used to bring comfort and acceptance to those who are grieving.